Three months ago I made my first trip west from New York to the barren lands of Harrison, New Jersey where the shining beacon of the Red Bull Arena lit up the decaying industrial landscape of an area of New Jersey that was desperately in need of investment, inspiration and excitement. On that day, the New York Red Bulls won a pulsating game against rivals DC United in a matchday atmosphere that really surprised me. I stood corrected in my view that the Red Bulls had no fans or identity and thoroughly enjoyed my visit. Three months on and I was back in New York for work with the Englishman in New York, Luge Pravda. As luck would have it, the Red Bulls were at home again, this time against those Wizards from Kansas. Or, the team that used to be called the Wizards. It appeared that a PR agency, probably headed by a Siobhan Sharpe-type decided that “The Wiz” wasn’t a MLS-type name anymore, so they were rebranded as “Sporting Kansas Club”, or SKC for short. Another “franchise” struggling to know who it really was. “Soccer” is in a confused state in the US. At the grass-roots level it is the most popular sport played by youngsters at school, especially by girls. And the interest among the younger generation in the Premier League or La Liga has never been bigger. With every visit I make to New York I see more and more bars now proudly displaying signs saying they show live Premier League games. And why wouldn’t they? A 3pm Saturday kick off in England means people in the bars at 10am, more often than not combining that cheeky first pint of the weekend with a full English breakfast. For visitors from England it means that they can still enjoy their fix from back home and be up the top of the Empire State just after midday – everyone’s a winner. Earlier this year I watched West Ham v Millwall at 7.45am in the Football Factory, quite literally in King Kong’s shadow. The owners had obviously taken a leaf out of Curry’s book, with TV’s on every spare inch of wall space, meaning nobody had a restricted view. Add in a couple of waitresses, dressed in football kit (Newcastle United in this case to keep the neutrality) who handed you another beer as soon as you had an empty one and you have a perfect recipe. But New York still lacks a soccer identity. The MLS has come a long way in the last few years, becoming more competitive and being able to defocus from just the exploits of one team in Los Angeles and on the league as a whole. It may surprise some observers from outside North America that other teams actually exist, and the Galaxy are not the biggest team in the league. Last weekend saw the “derby” between the Portland Timbers and the Seattle Sounders. I say derby in inverted commas as it is just about the biggest rivalry in US soccer, although the two clubs are separated by 175 miles. A packed house full of atmosphere that you rarely see in other US sports witnessed a 1-1. Few would know that there are now 3 teams from Canada, one of whom, Toronto FC, play in front of sell out crowds every week. But “soccer” is fast becoming the sport of choice for many Americans. Why? Because it is seen as a global game, it doesn’t take all day to play/watch and the US national teams are getting better every year. This summer saw the US women’s team take Gold in the London Olympics; the US men’s team continue to be dark horses at every tournament they play at. Back here in New York there is still an issue. Without a team to call their own, New Yorkers are missing a slice of the Apple Pie. Ask any resident of the city who their team is and you will hear either the Giants, Yankees or Knicks depending on which is their favoured sport. The Yankees are one of, if not the, biggest sporting brand in the world. Forbes magazine recently valued the brand at $1.78 BILLION. Their annual revenues are around $440m. It does help that they play around 75 home games a season with an average attendance of 40,000 AND once inside the stadium fans spend around $53 dollars EACH (bear in mind a beer at Yankee Stadium is a whopping $12!). The Giants on the other hand do not go down the “pile them high, sell them cheap” admission model. NFL teams only play 8 regular season games at home and can therefore charge an average ticket price well over $150. 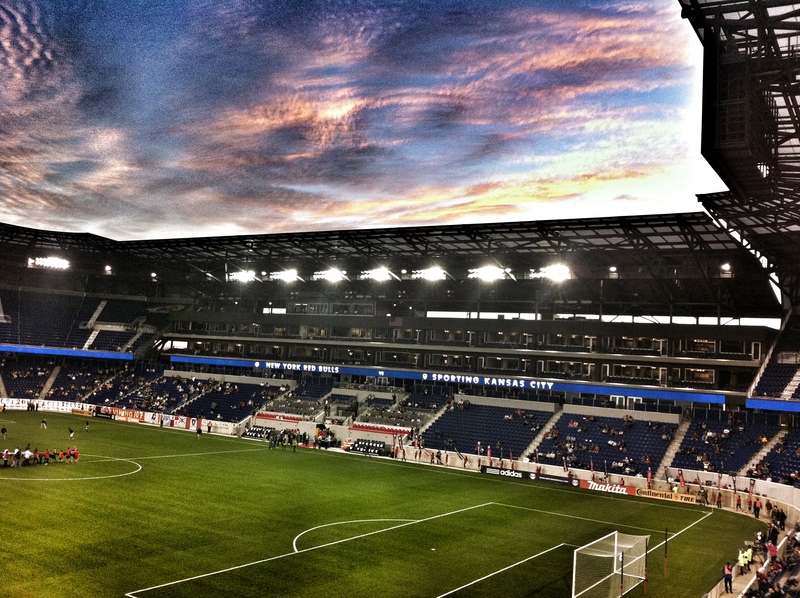 No more than a 20 minute train ride from Lower Manhattan is the Red Bull Arena, home of the New York Red Bulls. Whilst they have gone through various name changes since their debut in the MLS in 1996, they still remain a side located outside the city, and outside the state. Does this matter? For the real soccer aficionados, no. From most points in the city Harrison, NJ is quicker and easier to get to than the Yankee Stadium in the Bronx or CitiField, home of the Mets in Queens. But it matters to some. Ironically, some of those who do care will also support the Giants or the Jets, who play at the MetLife Stadium, which is also in New Jersey. The team, backed with the money and marketing know how of the Austrian beverage giants have done a good job in trying to keep the interest high both in New York as well as in New Jersey. But there is so much untapped potential. Nearby Newark (the stadium is almost at the edge of Newark Airport’s runway) has a population of near 280,000 in addition to the millions who live across the Hudson. But is New York City about to start falling in love with Soccer again soon? Next season the New York Cosmos will join the North American Soccer League (NASL) which is the second tier of US Soccer. Well, second tier would suggest there was some chance to move up to the first tier based in merit. Alas, such a concept still doesn’t exist in US sports where the franchise model is king. The Cosmos’s only short-term hope of bringing top-level football back to the city is to buy a MLS franchise and move it back to New York. And the chances of that are as much as a non-North American side winning Baseball’s World Series (I.e none as only MLB teams can compete in the World Series). So for the foreseeable future, Harrison, New Jersey will still be the premier venue for the game in the area. Having seen such a great game last time, Luge (and his lovely wife Katie) and I looked forward to another slice of Soccer-US style. As the song goes, “with hope in your heart” we were almost walking alone as we got off the train from World Trade Centre at 6.30pm. The train was full, but full of commuters on their way home. The parking lots were empty, the scalpers were desperate to off-load their tickets and the stewards looked bored. Katie questioned whether the game was on at all. With just 30 minutes to kick off the place looked almost deserted. After the customary stop to buy a beer ($12!!!! ), a foot long hotdog and a foam hand for the birthday of Mr Patrick Marber, we went to find our seats. Oh dear. With just 10 minutes to go to “kick off” (as you may know, events never start on time in the US, they start when the adverts stop) there was not ONE SINGLE seat taken in the whole section. In fact, there only seemed to be a thousand or so in the ground. Perhaps there was going to be a last-minute rush? Alas no, although we were joined by a group behind us who seemed to have mixed up the Red Bulls and Yankees, but more of them later. The teams emerged and the sparsely populated “home end” unfurled a banner aimed at the 17 Kansas fans in the section next to us. “You’re not Kansas anymore. SKC – No heart, No Brain, No Courage. No Wizard can save you now”. Would it be a phophetic message? Well, the Red Bulls certainly had one of the most well-known front two with Tim Cahill joining Thierry Henry upfront this season. Ah, Terry Henry. Three months ago I was criticised for suggesting that the Frenchman’s lethargy in running around the pitch was simply symptomatic of a final move in his career simply for the money. Anyone who saw this game cannot disagree with that statement. Henry was awful. He hardly broke into a sprint at any stage, stood hands on hips most of the time whilst the game went on around him. Yet his striking partner Cahill put in a decent shift, coming close to a goal with one of his trademark headers from distance. “Let’s go Red Bulls” as Kansas scored their first. Go where exactly? I could understand this if it was their first trip to a game, but one of them mentioned this was the fifth time he had been this season…. It was hard to take any positives out of the game as an adopted “New Yorker”. The fantastic sunset was probably my highlight of the game. The Red Bulls were poor, the attendance very disappointing (on the way back in conversation with a fan he seemed to blame it on the fact the Yankees were also at home) although the official attendance was 10,286 which was far-fetched to say the least and the beer was astronomical at $12 each, which was nearly 60% of the match ticket. It was a frustrating evening. No matter how much I wanted the Red Bulls to deliver for me, they simply couldn’t both on and off the pitch. At the end of the day make no mistake, this is a business venture. If the owners decide one day that it is not viable they will simply sell it, or relocate it to somewhere where it could be. 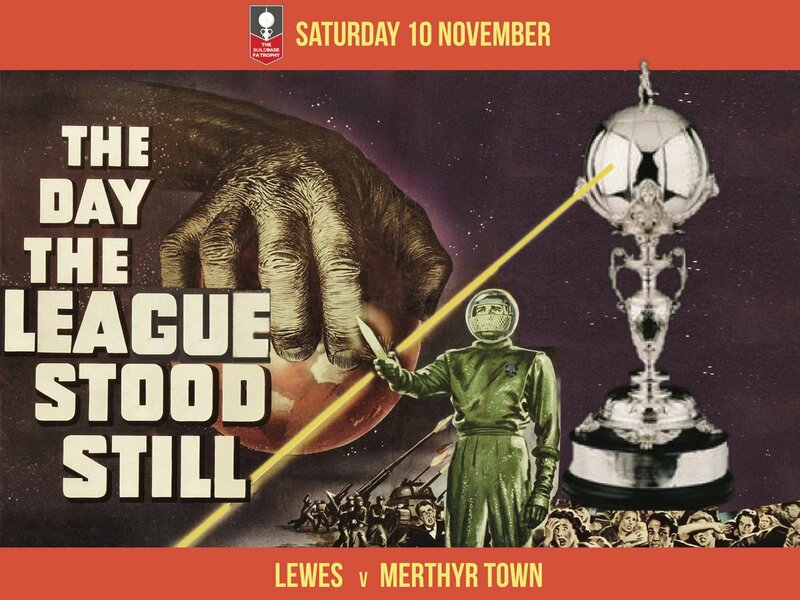 With the spectre of the Cosmos appearing over the horizon, perhaps now it is the time for the PR company to have a Plan B up their sleeve. This entry was posted in US Football and tagged Kansas, MLS, New York, New York Red Bulls, SC Kansas. Bookmark the permalink. Good article, but if you’re going to write about a team, at least get the damn name right. The team you saw beat NY Red Bulls is not called “Sporting Club Kansas” or “SC Kansas.” It’s Sporting Kansas City. Sporting Club (notice no Kansas at the end) is the name of the ownership group. They do play in Kansas – specifically Kansas City, Kansas, which is part of the greater Kansas City metropolitan area, centered around Kansas City, Missouri. And you know something? Kansas Citians – on both sides of the Kansas-Missouri state line – love the new name, the new stadium, and the fact that Sporting KC is winning. Thanks for the feedback…the name is referred to over here in England as Kansas SC or even SC Kansas hence the confusion but I have amended it now. I genuinely hope the MLS is successful and there isn’t a reliance on players like Henry to grow it from the bottom up. 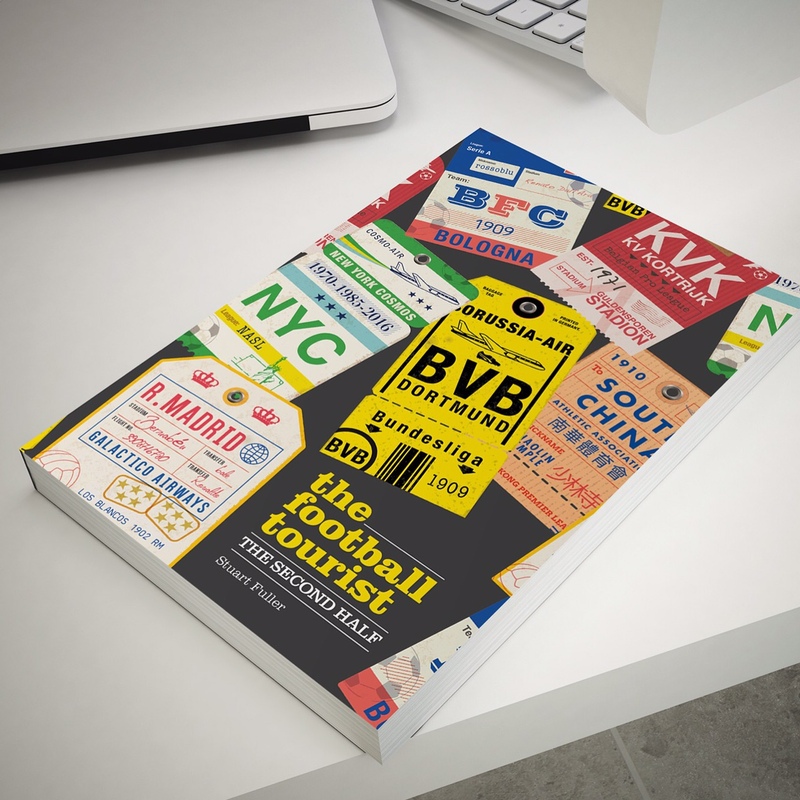 If a club has found a successful formula in a new location then that’s brilliant. However, can it ever be taken seriously unless the “Americanism” of ignoring meritocracy is removed – I.e No promotion/relegation, free movement of players, removal of salary restriction? Yes, the sport is governed differently here than it is in England. 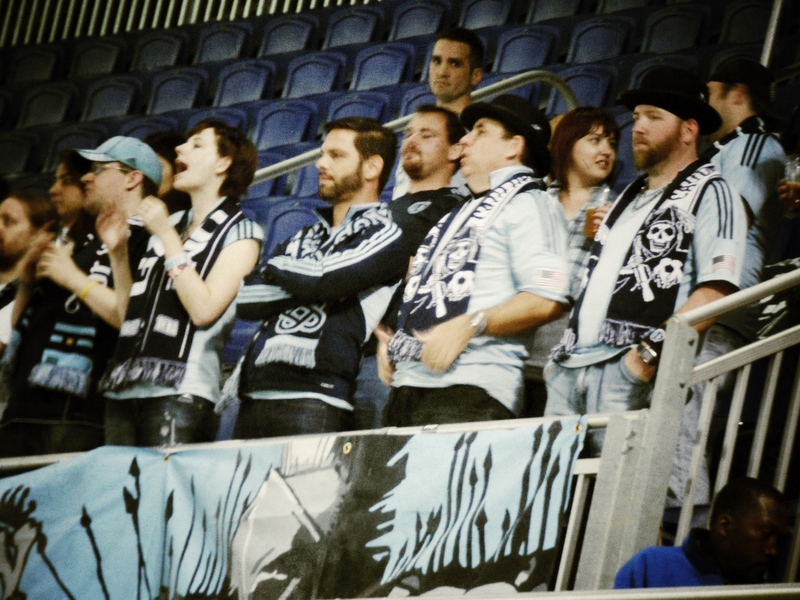 Yes, the Red Bulls occasionally struggle in attendance. There are many reasons for that. 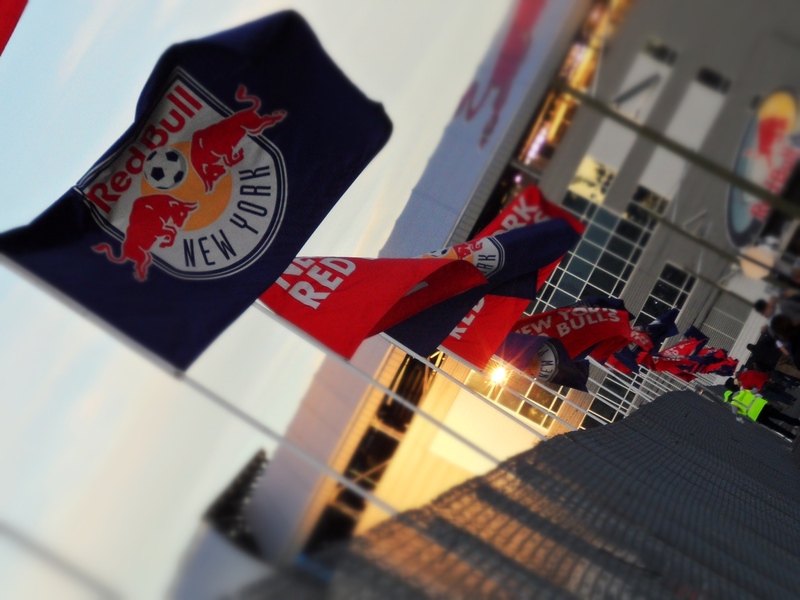 Location is one, despite being only 20 minutes from Manhattan Red Bull Arena is seen as “too far” by city-dwellers. There is a deep cultural antipathy towards New Jersey that I don’t think the Austrians fully understood before buying the team. New Yorkers are also loathe to travel farther than their own block unless it’s for the NFL (which attracts as many suburbanites as city folks). The team’s long history of futility and poor marketing efforts from the previous ownership have also taken their toll. It’s going to take more than just 2 years (RBA opened in 2010) to pack them in in Harrison. Add to this Red Bull’s curious tendency to not go full-bore in promoting the team and you’ve got problems. Recently fired Red Bulls (it’s two words by the way, not “RedBulls”) general manager promised the fans the “full force” of the Red Bull machine would be behind them, but others in his position have said the same and it hasn’t happened yet. You’ve already been informed of the Kansas City situation- they’re really a success story and deserving a full piece on their transformation. They were a sad-sack afterthought team owned by an NFL owner and playing in a 2/3rds empty NFL stadium and now they’ve been re-tooled with a better name, soccer-only ownership group, and a world-class soccer specific stadium. You’ve done them a disservice by off-handedly dismissing them as a franchise who changed their name. It would appear you went on a bad night. Hey, everyone has them. I recall something about rainy Thursday nights in Stoke? You sat near some really dumb-assed ignorant fans. I’m sure you’ll agree that’s not only an American problem. Didn’t some Liverpool fans just harass a man about cancer this weekend? You were at a multi-million dollar soccer-specific stadium in the United States with the likes of Tim Cahill and Thierry Henry running around. Ten years ago did anyone in England think that possible? As far as promotion/relegation and no salary caps, this isn’t Europe where professional teams can operate with first-world GDPs worth of debt hanging around. As soon as you convince ownership groups who’ve paid hundreds of millions of dollars for teams that they’ll be kicked out and we be facing Edmonton, not New York, next season- you call me. To say nothing of the lack of facilities in the lower divisions. Or the absolutely astronomical travel costs (go get a map and overlay the MLS teams and NASL teams, then open a travel website. The cost will shock you). The bottom line is we’re just not there yet. Thanks for the feedback…I find the whole franchise model fascinating and normally in awe of the professional marketing machines but it beats me why the game was played when it was and with no marketing in NYC…..Did we think the MLS would be successful? Yes – think back to 2002 World Cup in Korea – US performance shocked a lot of people as to how far the game had progressed. I am sure there is a very strong case for a much bigger MLS now with regionalisation. I find it interesting that you think the chances of a true NYC MLS side are zero. apparently you haven’t heard about MLS in the process of purchasing land from the state at flushing meadows park, for a 25,000 seat stadium. Also the Cosmos would be the front runners to purchase that stadium and franchise. I’d like to also point out that although RBA is a short train ride from lower manhattan, the majority of NYC’s population, especially from football loving nations, live in the outer-boroughs, and for them it’s a 3 to 3.5 hour round trip to Red Bull Arena. If Red Bull NY wants to be successful on the field and in the stands (which I’m not so sure they do) they need to reach out to the soccer rich communities of Northern NJ. However they will probably just continue to worry about how many cans of Energy Drink they can sell. I don’t think the chances of a true NYC team succeeding are zero – just that a team based in the second tier of the US game with no chance of promotion is likely to have an impact on the level of support. If it was a true promotion/relegation situation such as in most other major leagues then I can see success in building a brand…. Here are three recent articles that hopefully will prove informative for you and your readers. The first is a story I did in Total Footblog that strives to explain why MLS is so eager – and smart – to put a team in New York City. 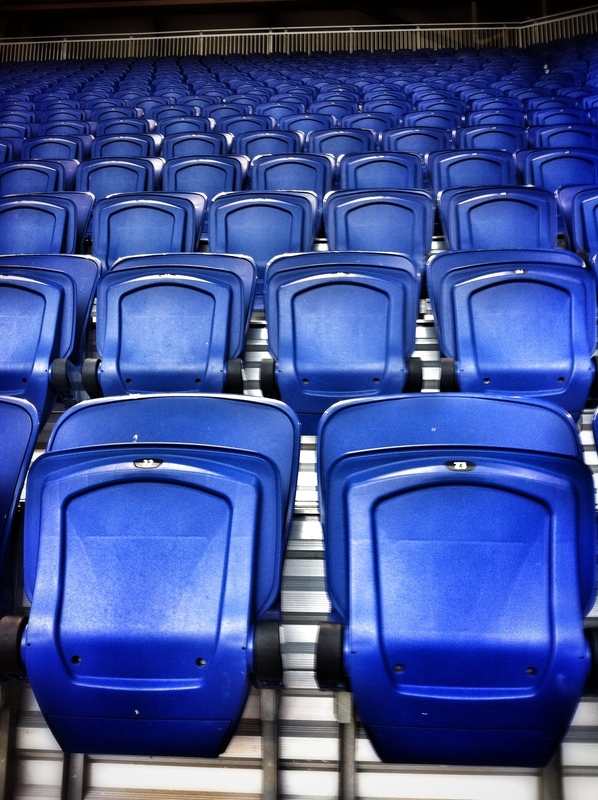 In the process, it examines the factors contributing to the lack of attendance at Red Bull Arena. I can understand your perceptions of the game in this country if you hadn’t visited the US since the 80s or even the 90s, but a lot has changed since then. This article, which recently appeared on ESPN, might shed some light on the current landscape of the game in this country. Yes, it’s still popular with children, especially girls (as you seem eager to note). And thanks for acknowledging the improvement of our national teams (I trust you are not still bitter about finishing behind a darkhorse in 2010), particularly our girls, who have won 2 of the 6 FIFA World Cups and 4 of the 5 Olympic tournaments (they’re definitely showing signs of improvement). Finally, I certainly share your views on the Wiz name, but there was a lot more thought put into the rebranding than merely a PR ploy. If you did a little digging, you might not have been so quick to criticize the club. To that end, a little more research on your end would have informed you that Sporting KC is currently 2nd in the table, and the game was particularly significant for the Red Bulls’ hopes of post-season play, which would have made your point about the poor attendance even stronger. Plus, you could have then launched into the absurdity of the league’s conference structure and the American need for post-season play to determine a champion. True, the league has a long way to go. Mandated parity, salary caps, and a lack of promotion/relegation still stymie its growth and progress. But even I, a long-term critic of MLS, have to acknowledge the tremendous improvement over the past 10 years, on and off the pitch. By the way, if a $12 beer at a stadium still freaks you out, then you are a bit premature in calling yourself an “adopted New Yorker.” Though it was quite amusing that you noted it was 60 percent of the ticket price. Perhaps that says more about American priorities than anything else! As a fellow Limey, who resides in London, Blighty…I am offended by your over critical witterings about my beloved Metro . Yes indeed some of your points are spot on, but MLS aint about just Footie, its gotta change the mind set of some Americans who wern’t brought up on our beautiful game. I have seen the RED BULLS about ten times now, some of the games were dead pan indeed, but being at the Meadowlands didn’t help much, but the heart of the team, the passion, the loyal fans and the Legends of the team that some fans have become ( Savaresse, Petke, Woly, JPA, Howard, Richie Wiliiams ) are loved by the South Ward Fans ten fold. Please check out a Metro game when you are back in NYC mate, it sounds like youare in a privilaged position to have your work pay for your NYC trips, whilst this working man here has to save long and hard to make a match and stay up til silly o’clock GMT to watch a bootleg feed of a game…..
Have you read my piece from my last trip in June? I was very impressed with the whole atmosphere on that occasion. This time it was completely flat. Whether that was down to poor marketing of the game, or simply the fact fans do not / cannot get to midweek games I don’t know…BUT Thierry Henry??? Please don’t try and defend his performance. It was embarrassing. He needs to simply retire and stop living off his reputation. As for work paying my way – well they do but I also had to live in Scandinavia for 2 years whilst trying to follow a team back in UK….